HA NOI (VNS) — The Ministry of Agriculture and Rural Development has asked provinces and cities under the central Government to strengthen measures for forest fire prevention in a recently released document. The directive was issued following prolonged dry weather that has placed many areas of the country at a risk of forest fires. The ministry has asked the chairmen of provinces and cities to direct efforts aimed at forest protection and develop steering committees to review operational mechanisms and assignments for the implementation of inspection, supervision relating to forest fire fighting and prevention. Provinces and cities will also be required to prepare human resources and materials and to strengthen education and communication on forest protection and fire prevention for the community. Localities have also been requested to closely supervise the use of fire among the local residents living inside or near the forest. Forest management forces have been urged to work closely with the local authorities to discover and stamp out fire outbreaks in a timely fashion. 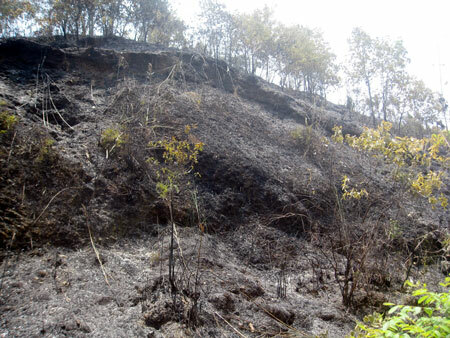 The ministry had reported that tens of hectares of forest were recently destroyed in some serious forest fires that occurred in the central highlands province of Gia Lai and Tram Tau District, in the northern Yen Bai Province in March.